Small, typically green and covered in a thin, papery sheath, the tomatillo is a mystery to many and rarely a household staple. But the tart and tangy fruits are delicious, versatile and deserve a place in your summer cooking repertoire. Small, typically green and covered in a thin, papery sheath, the tomatillo is a mystery to many and rarely a household staple. But the tart and tangy fruits are delicious, versatile and deserve a place in your summer cooking repertoire. Here, 10 introductory recipes for tomatillos. 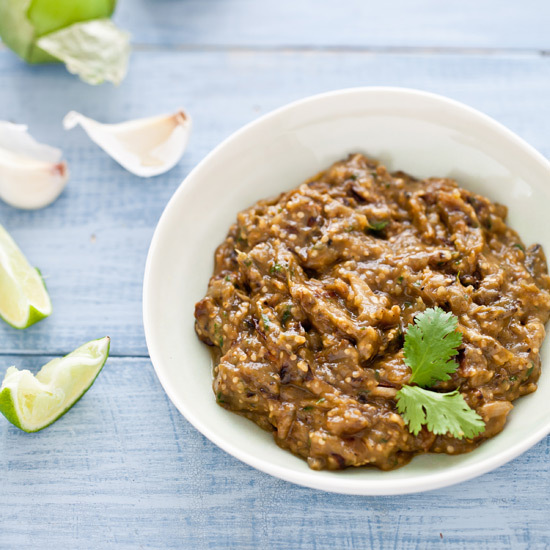 This tomatillo and poblano chile sauce has great heat and depth. Try it with eggs or steak, or add it to a skillet as a finishing sauce for seared pork or chicken. For chicken fajitas with a twist, make this easy, tangy and spicy green sauce, which gets its punch from a combination of tomatillos, jalapeño, cilantro and scallions. Puréeing avocado with roasted tomatillos, garlic and jalapeño creates a tangy, guacamole-like dip that's great with baked tortilla chips. Mexican cooks typically boil or roast tomatillos for tart sauces like salsa verde, but Daniel Orr likes to cut them up raw for salads like this one. These hot and tangy ribs are the perfect centerpiece for a fantastic summer dinner party. Lightly charring the vegetables before puréeing them gives this salsa verde an alluring smokiness; fresh cilantro and tart lime juice make all the flavors pop. The turkey filling for these pan-fried burritos, or chimichangas, is a healthy alternative to more traditional fillings like refried beans and shredded pork or beef. This hearty stew requires just 30 minutes of active cooking. The slow cooker does the rest of the work. Bright, smoky and garlicky, this salad is made with crunchy croutons, queso fresco, grilled tomatillos and frisée. These crunchy fried vegetables make for a perfect happy-hour snack.